Ryan Nugent-Hopkins uses the word kind to describe him. 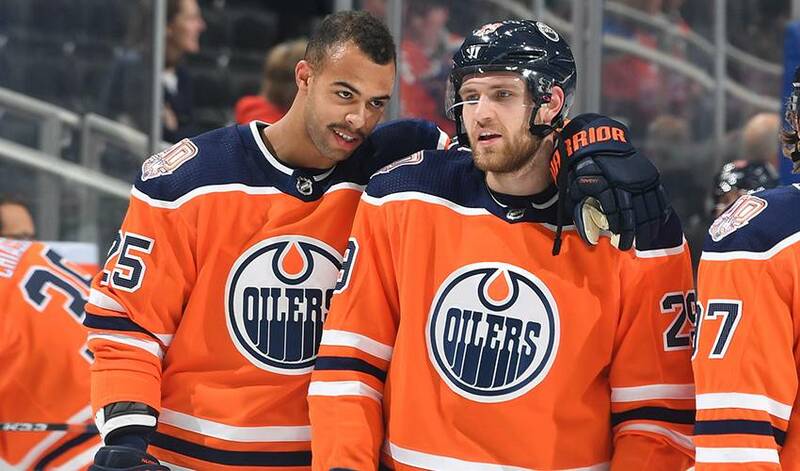 Darnell Nurse says he’s just like a brother. Playing in his fifth NHL season, Draisaitl, Edmonton’s slick-skating centre, is firing on all cylinders in 2018-19. Twenty-eight games into the campaign, the 23-year-old has 13 goals and 30 points, putting him on pace for his best offensive season to date. But’s it’s not only what the native of Cologne, Germany, does on the ice that has endeared the third overall pick of the Oilers in 2014 to his teammates. Nurse, who saw his first NHL action with the Oilers in 2014-15, jokingly sighs when asked about Draisaitl. He also happens to be an elite player. In 297 career games, Draisaitl has 88 career tallies and 237 points, reaching the 25-goal mark twice, along with two seasons where he netted at least 70 points. Combining top-notch playmaking and passing skills, Draisaitl isn’t lacking in self-motivation, something noted by both Nugent-Hopkins and Nurse. Both also bring up Draisaitl’s accent, or in this instance, lack of one. And as far as roommates go, Draisaitl definitely earns high marks.